Last month Wells Fargo employee Tyrel Oates wrote an email to company CEO John Stumpf asking for a $10,000 raise – not only for himself, but for each of the bank’s 263,500 employees. Oates copied about 200,000 Wells employees on the email. 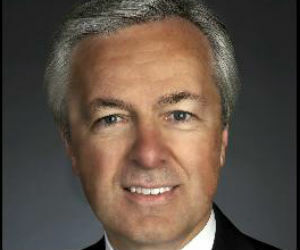 Now almost a month later at the bank’s quarterly company town hall meeting, Stumpf defended Wells Fargo’s pay structure. During the meeting, he said he wanted to address something that had been in the media recently regarding Wells Fargo’s compensation, though he didn’t specifically speak to the email from Oates. Stumpf described the bank’s pay model as competitive and said that 40,000 employees received a promotional raise last year, according to Market Watch. Oates’ current compensation is $15 per hour. His pay was $13 per hour when he started at the bank nearly seven years ago. During the same period, Stumpf’s annual compensation has increased by 40%.